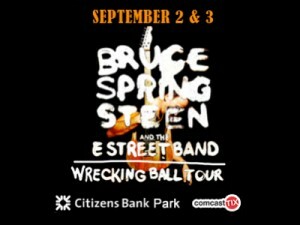 Bruce Springsteen played the Citizen Bank Park in Philadelphia, PA last night (09-02-2012 in American date format, September 2nd to the rest of us). Strangely enough, he didn’t play ‘Streets of Philadelphia’, but he did play a few rarer tunes requested by fans – including a fantastic version of ‘Jersey Girl’. Download a bootleg of the full show below. Thanks to Travitz for the recording and dukewx for the upload.